It will really surprise few, but is now officially announced: the CLA will also get a vanilla AMG version! Mercedes-AMG has released the first teaser image of the future of the CLA 35. The model could be premiered at either the Shanghai or the New York Auto Show, events that begin in mid-April. Mercedes-Benz introduced the second-generation CLA at the Consumer Electronics Show (CES) in Las Vegas, which took place in mid-January. At the time of the presentation, the Germans announced a single engine, a 2.0 liter turbo petrol with 225 hp and 350 Nm (CLA 250). 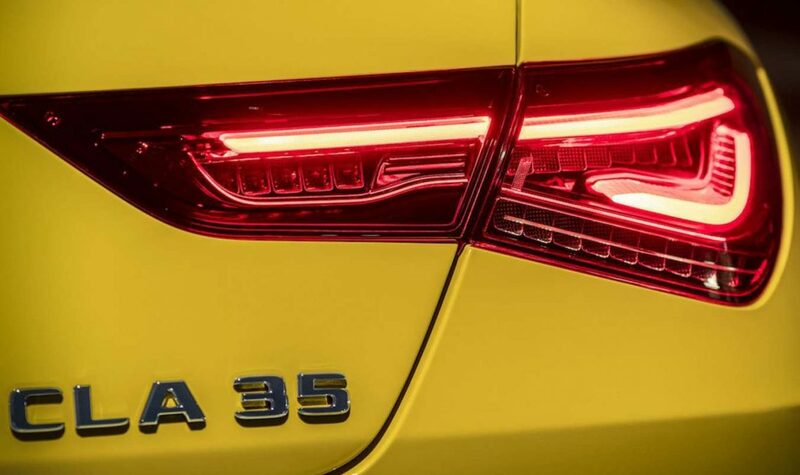 Now, a photo of a yellow Mercedes with “CLA 35” as type designation appeared on Mercedes’ social media pages on Facebook and Twitter. With this, Mercedes-AMG confirms for the first time the arrival of the sports four-door coupe. The brand does a well-known trick here. In the run-up to the extreme AMG 45 versions, the milder AMG 35 variant is the first to arrive. We have recently seen this happen with the new A-Class hatchback and sedan. The hatchback is now driving on public roads, the AMG 35 Limousine was recently unveiled. With the teaser, Mercedes does not speak about a certain power output, but about the average consumption. At 7.2-7.3 liters per 100 kilometers, it is just as high as the A 35 Limousine. 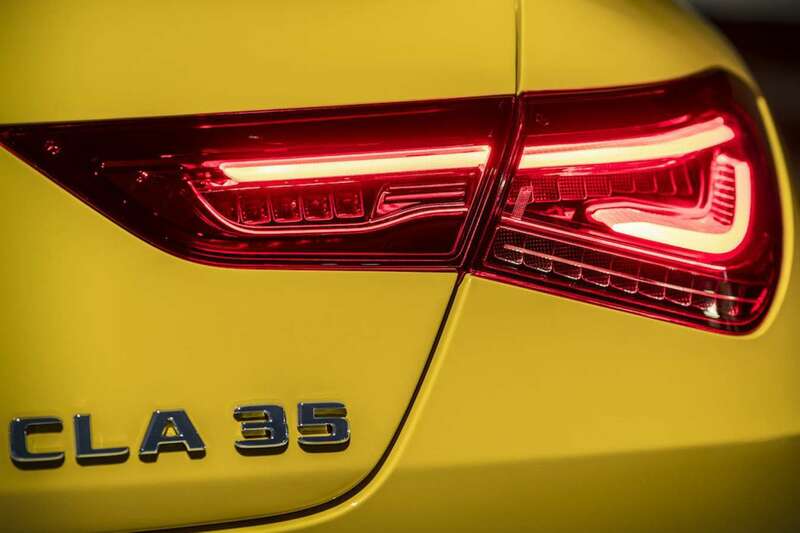 We could therefore assume that the same four-cylinder 2.0-liter gasoline engine with 306 hp and 400 Nm will find its way into the Mercedes-AMG CLA 35. With this engine, a sprint from standstill to the speed of 100 km / h in the A-Class Limousine takes 4.8 seconds. In that car, the top speed is limited at 250 km / h.
The engine’s resources will be managed by the seven-speed AMG Speedshift automatic transmission and the AMG Performance 4Matic all-wheel drive. The German builder will also offer five running modes (Slippery, Comfort, Sport, Sport + and Individual), which can also be selected via a selector on the steering wheel. The official debut of the Mercedes-AMG CLA 35 would be imminent. There is a good chance that the future CLA 35 will be exhibited for the first time at the Shanghai Auto Show, an event that opens its doors in mid-April, from April 16th to 25th, but the car could also make its first public appearance at the New York (USA) motor show, from April 19th to 28th.